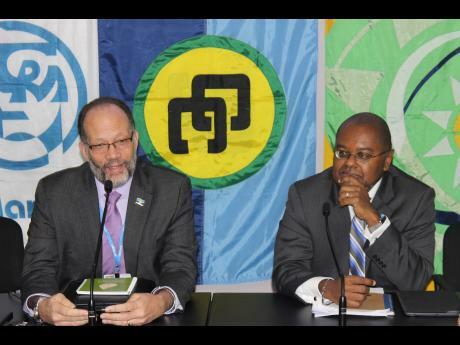 The Member States of the Caribbean Community (CARICOM) were among a large group of countries at COP 24 insisting that the global response to climate change be driven by science. During 2018 the CARICOM Member States tried to include the International Panel on Climate Change (IPCC) Special Report on Global Warming of 1.5°C as an agenda item at COP 24. However, they were unable to do so. At COP 24 they used two approaches to highlight the importance of the Special Report to the process. In the Subsidiary Body for Scientific and Technical Advice (SBSTA) under the agenda item on Research and Systematic Observations (RSO), they proposed a paragraph welcoming the Special Report. Led by Ms Cheryl Jeffers of St Kitts and Nevis, speaking on behalf of the Alliance of Small Island States (AOSIS), the group also tried to insert paragraphs highlighting key messages from the 2018 State of the Climate presented by the World Meteorological Organization (WMO) and the work of a Task Force of Global Climate Observing System (GCOS). Although these were supported by most of the countries present, including the African Group, the Least Developed Countries Group (LDCs), the Independent Association of Latin America and the Caribbean (AILAC) and the European Union (EU), it was opposed by Saudi Arabia, Kuwait, Russia and the United States. As a result, when the SBSTA session ended, there were no agreed conclusions on this issue and discussions will resume at the next session in May 2019. Undeterred, CARICOM continued to press the case the following week and were able to get reference to the IPCC Special Report in the main COP decision. It invited countries to consider the information contained in the report when they addressed relevant issues. In addition, SBSTA will discuss the contents of the report in May. IPCC assessments and reports will also be used to inform the global stocktake to be undertaken in 2023 to assess the implementation of the Paris Agreement and inform subsequent countries nationally determined contributions (NDCs). In the decision adopting the Paris Agreement in 2015, the IPCC was requested to prepare this special report. Leonard Nurse, UWI (Barbados); Felicia Whyte, Kimberly Stephenson, Tannecia Stephenson and Michael Taylor, UWI (Jamaica); and Adelle Thomas of the University of the Bahamas contributed to the preparation of the report. 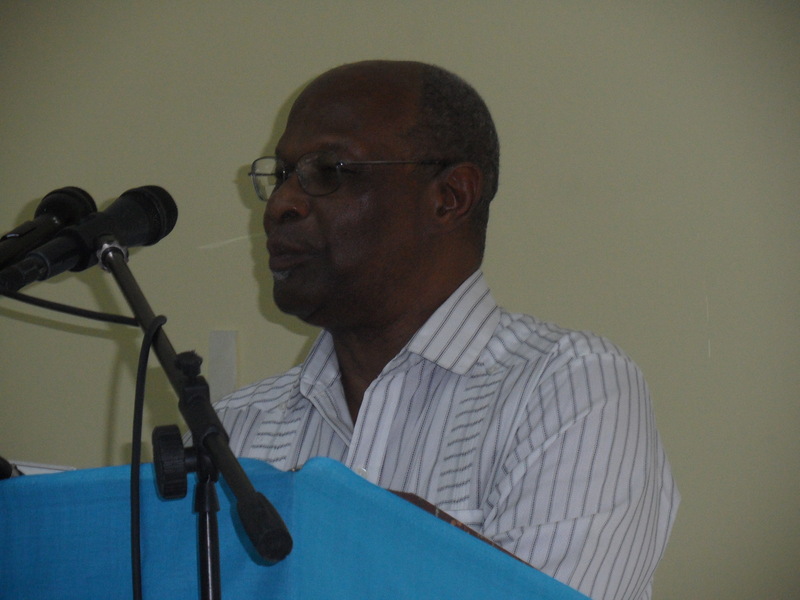 During 2018 as the report was circulated for comments, the Caribbean Community Climate Change Centre with support from Climate Analytics and Charles and Associates organized regional workshops with CARICOM national IPCC and UNFCCC Focal Points to review the report and provide comments on its contents. The IPCC will produce two additional special reports in 2019, and CARICOM scientists will once again play an important role in their preparation. Adrian Spence, International Centre for Environmental and Nuclear Sciences (Jamaica); Kenel Delusca, Institute of Science, Technology and Advanced Studies of Haiti; and Noureddin Benkeblia and Donovan Campbell, UWI (Jamaica) will be contributing authors to the IPCC Special Report on Climate Change and Land. For the IPCC Special Report on Oceans and Cryosphere on a Changing Climate, Michael Sutherland, UWI (Trinidad and Tobago) has been selected to assist in preparing the report. Negotiations on climate change at COP 24 in Katowice, Poland have now reached a crucial stage. Technical negotiations on elements of the Paris Agreement Work Programme (PAWP) ended at 5 pm yesterday. At a plenary meeting later that evening, the COP President announced that there were many outstanding issues remaining. He said that negotiations could now longer continue in the present mode. He has appointed pairs of ministers representing developed and developing countries to undertake consultations on 5 clusters: Transparency, Mitigation and Nationally Determined Contributions (NDCs), the Global Stocktake (GST), Adaptation, and Cooperative Approaches. Two ministers from Small Island Developing States (SIDS) were among those selected. Singapore will join Norway in facilitating discussions on Mitigation and NDCs, while the Marshall Islands and Luxemburg will undertake the GST. Germany and Egypt will continue their consultations on Finance while Poland as the COP President is undertaking consultations on the contents of elements to be included in COP decisions. AOSIS representing the interests of SIDS is advocating strongly for inclusion of the IPCC Special Report on Global Warming at 1.5°C and the outcomes of the Talanoa Dialogue. Carlos Fuller, International and Regional Liaison Officer at the Caribbean Community Climate Change Centre represented Belize at the high-level segment of the Talanoa Dialogue. In his opening statement he noted Belize’s vulnerability to climate change and the reason the country supported the call to limit global warming to 1.5 degrees Celsius above the pre-industrial level. Quoting from the World Meteorological Organization’s (WMO) 2018 State of the Climate Report that 2018 was turning out to be the fourth warmest year on record, he maintained that concentrations of carbon dioxide in the atmosphere had now reached 405 parts per million (ppm). The last time that concentrations were that high was 3 to 5 million years ago when sea levels were 15 feet higher than present levels. 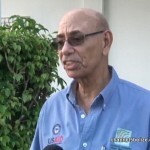 That means that Belize City and other coastal communities and all the cayes would have been under water. He went on to note that the recently approved Report on Global Warming of 1.5 by the Intergovernmental Panel on Climate Change (IPCC) asserted that the global temperature was now one degree higher than the pre-industrial level and the countries like Belize were already experiencing the adverse impacts of climate change. 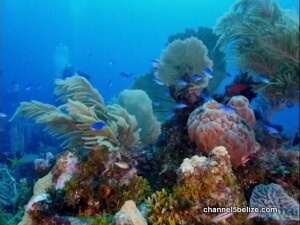 At 1.5 degrees, conditions would get worse but were manageable, however, at 2 degrees, ecosystems like coral reefs would be unable to survive. The Caribbean would become so acidic from the carbon dioxide it was absorbing from the atmosphere that shell fish like conch, lobster and shrimp, would find it difficult to grow their shells. He pointed out that the report said that it was still possible to achieve the 1.5-degree target. However, action was required immediately and that emissions of greenhouse gases would have to be reduced by 50% by 2030, and by 2050 the world would have to become carbon neutral. This would require a massive transformation of all sectors of the economy including energy, agriculture, industry and forestry. It would require a massive injection of capital, transformation of the work force and international cooperation. Such a paradigm shift would stimulate the global economy to unprecedented levels of growth that would include all levels of society, raise standards of living and contribute to the achievement of the Sustainable Development Goals (SDGs). Mr Fuller was joined in the Dialogue by the Ministers of Latvia and South Africa and representatives of the Roman Catholic Church and the Youth Organization. The Talanoa Dialogue was mandated by the COP decision which adopted the Paris Agreement in 2015 to inform the revision of Nationally Determined Contributions (NDCs) by 2020. The present NDCs will limit global warming to 3 degrees Celsius while the Paris Agreement’s objective is to limit it to far below 2 degrees and possibly 1.5 degrees. The COP 23 and COP 24 Presidencies chaired the meeting which closed the Talanoa Dialogue at COP 24 in Katowice, Poland. The Secretary-General of the United Nations, Manuel Guteres in his opening statement noted that the IPCC Special Report on Global Warming of 1.5°C concluded that the 1.5-degree target was still achievable. He called upon Parties to communicate more ambitious Nationally Determined Contributions (NDCs) leading up to and at the Summit he would convene in September 2019. Ministers from Poland and Fiji reported on the Ministerial Talanoa roundtables convened yesterday. 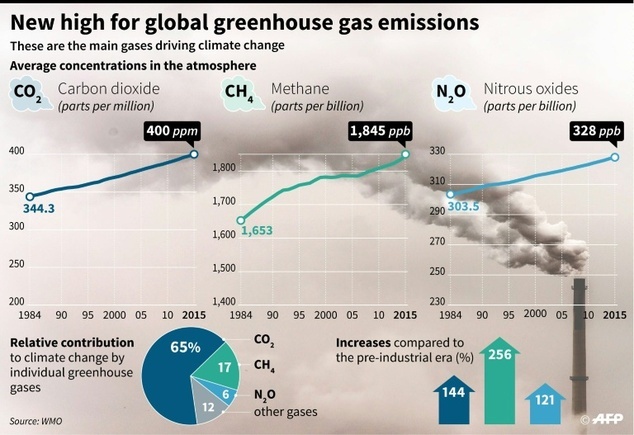 Switzerland announced that it would reduce its emissions of greenhouse gases (GHGs) by 50% by 2030 in accordance with the findings of the IPCC Special Report on 1.5 and that it was now developing its long-term emission reduction target for 2050. He highlighted the call in the joint submission by the Environmental Integrity Group (EIG), the Independent Association of Latin American and Caribbean Countries (AILAC) and CARICOM for Parties to enhance their NDCs by 2020. Minister Steele of Grenada highlighted the need for Parties to undertake rapid action to increase their mitigation ambition in accordance with the finding of the IPCC Special Report. This would require enhanced financial, technical and capacity building support to enable this ambition both for the mitigation target but also for the adaptation actions that would be required in a 1.5-degree world. Towards this end he called for a strong COP decision that incorporated these elements including the call for more ambitious NDCs. He looked forward to the UN Secretary-General’s Summit as an important political moment to raise ambition. The European Union (EU) also called for a COP decision as an outcome of the Talanoa Dialogue process and that the UN Secretary General’s Summit would be the next opportunity for Parties to announce their enhanced NDCs. The Maldives on behalf of the Alliance of Small Island States (AOSIS) called for the Talanoa process to continue. At the conclusion of the meeting the Polish Presidency noted the benefits of the 1.5-degree target. 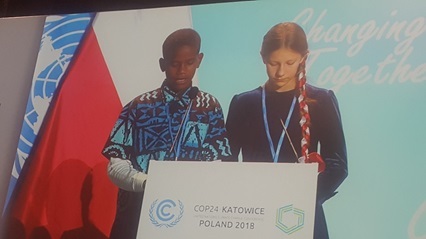 He invited Timothy and Hanna, two youth representatives from Fiji and Poland to join the head table where they delivered a joint declaration. In his closing statement the Prime Minister of Fiji issued the Talanoa Call for Action. He welcomed the IPCC Special Report and thanked the scientists who contributed to it. He said that Fiji would join the Marshall Islands in submitting a more ambitious NDC and called for others to come to the SG’s Summit with similar concrete plans. He asked for the Talanoa process to continue to the Summit and beyond. The Commonwealth is bringing together global experts to thrash out new ideas for not just reducing climate change but actually reversing its effects by mimicking success stories in nature. At a two-day gathering on Friday and Saturday at the 52-country organisation’s headquarters in London, a diverse band of experts in fields such as biomimicry, carbon sequestration, design and regeneration traded ideas for practical schemes that could pull carbon out of the air and put it back into the Earth. Rather than a series of presentations, the conference instead saw experts from around the world huddle in groups to brainstorm. While the Commonwealth contains G20 industrial powers like Britain, Canada and Australia and emerging forces like India and Nigeria, many of its members are developing island micro-states. “Some of our island states in the Pacific and the Caribbean will be hit first and potentially disappear, therefore climate change has been an issue of real importance to the Commonwealth,” Commonwealth Secretary General Patricia Scotland told AFP. Examples were shared of concrete absorbing carbon, ecologically destroyed landscapes flourishing again through getting carbon back into the soil, and getting more productive agriculture through mimicking the ecosystems of wild, untended land. There were discussions on buildings designed like termite mounds that ventilate themselves with cool air, or making ships’ hulls like shark skin. Also mooted were vertical axis wind turbines arranged in school-of-fish formation so the ones behind gain momentum from the vortices, creating far more wind power than regular wind farms. “It’s stunning, but this is not inventing anything new. Life’s been at it for 3.8 billion years,” biomimicry expert Janine Benyus told AFP. “We’re talking about bringing carbon home — rebalancing the problem of too much carbon in the air and not enough in the soil,” she added, stepping out of a workshop. With its diverse membership covering a quarter of the world’s countries, action within the Commonwealth often paves the way for wider global agreements. The climate change accords reached at its biennial summit in Malta last December were instrumental in the Paris COP21 UN climate conference deal struck later that month, which agreed to cap global warming at less than two degrees Celsius (3.6 Fahrenheit) above pre-industrial levels. Scotland will take forward ideas and outcomes from the London workshop to the COP22 summit in Marrakesh in November. “We’re setting off the starter pistol for this race,” the secretary-general said. “The Commonwealth is seeking to be the platform through which ideas can be transferred. However, in the arena of climate change, many intriguing proposals get ditched on the grounds of cost, practicality or fears that they could end up inflicting environmental damage. “We’re looking at how we can share real solutions and help each other to get there faster,” said Scotland. Some sessions focused on so-called big picture ideas, looking at Earth as a complete system. Delegates discussed how carbon can be used as a resource, in which returning it to the ground can bring about lasting soil fertility and jobs and thereby political stability. “Life creates conditions conducive to life. It’s about creating new virtuous circles rather than vicious ones,” said Daniel Wahl, who designs regenerative cultures. “If we do a good job, we can find the funding because the will is there,” he told AFP. “The time of ‘them and us’ thinking is past. The people who were against each other now have to come together. The Caribbean Community Climate Change Centre (CCCCC) is recruiting a National Coordinator/Consultant (NC) for the Energy for Sustainable Development in the Caribbean Buildings Project (“ESD”). The overarching goal is to develop and implement measures for promoting sustainable energy development within the buildings sector and to reduce greenhouse gas (GHG) emissions and make the energy sector more efficient and increase the use of renewable energy in five (5) pilot countries: Antigua and Barbuda, Belize, Grenada, St. Lucia and St. Vincent & the Grenadines. Peruse the advertisement for the ESD Project Consultant here. Qualified candidates should send an email expressing interest in the position (in less than 250 words), work references and a CV to EDSapplication@caribbeanclimate.bz. The South Korea-based Green Climate Fund (GCF) is open for business, and Caribbean countries are hoping that it will prove to be much more beneficial than other global initiatives established to deal with the impact of climate change. But even as she addressed the topic “The Green Climate Fund; Great Expectations,” Smith reminded his audience that on a daily basis the Caribbean was becoming more aware of the severe threat posed by climate change. 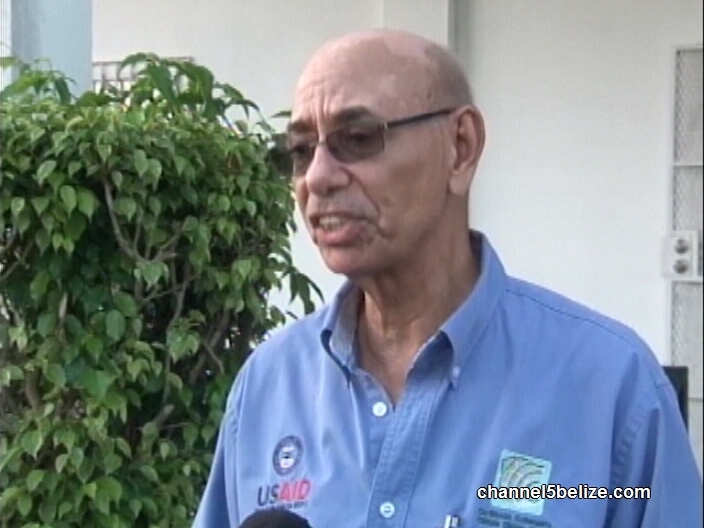 Executive director of the Belize-based Caribbean Community Climate Change Centre (CCCCC), Dr. Kenrick Leslie told IPS that regional countries were now putting their project proposals together to make sure they could take full advantage of the GCF. The GCF was agreed at the 16th session of the Conference of the Parties (COP) to the United Nations Framework Convention on Climate Change (UNFCCC) held in Cancun, Mexico. Its purpose is to make a significant contribution to the global efforts to limit warming to 2°C by providing financial support to developing countries to help limit or reduce their greenhouse gas emissions, and to adapt to the unavoidable impacts of climate change. There are hopes that the fund could top 100 billion dollars per annum by 2020. On April 15th the third and final volume of the IPCC Fifth Assessment Report on Climate Change was presented. The report is the most comprehensive survey of scientific knowledge about climate change, updated after the 2007 edition. Working Group 3 of the Intergovenmental Panel on Climate Change focuses on actions and policies for mitigating climate change, that is on the possibility of reducing the concentration of greenhouse gases in the atmosphere. The report makes clear why climate change cannot be dealt with solely from an environmental point of view, given its powerful financial and economic repercussions, on both the global and domestic levels. 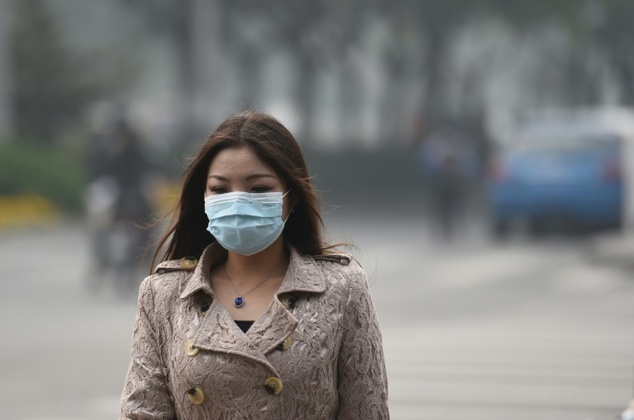 While the continuous rise in global emissions furthers us from the aim of maintaining temperature increase below 2° C at the end of the century, science is seeking ways to control climate change that also take into account economic efficiency and equity, for example through market instruments that reduce emissions wherever this is a less expensive option. The video was produced jointly by the International Center for Climate Governance (ICCG), the Euro-Mediterranean Centre on Climate Change (CMCC) and the Fondazione Eni Enrico Mattei (FEEM). Created by Jacopo Crimi and Mauro Buonocore, with illustrations by Neva.